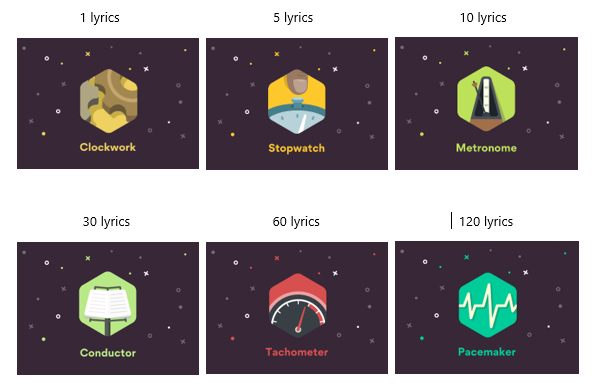 Depending on the contribution, the users get different badges when they add, review, sync and translate the lyrics. 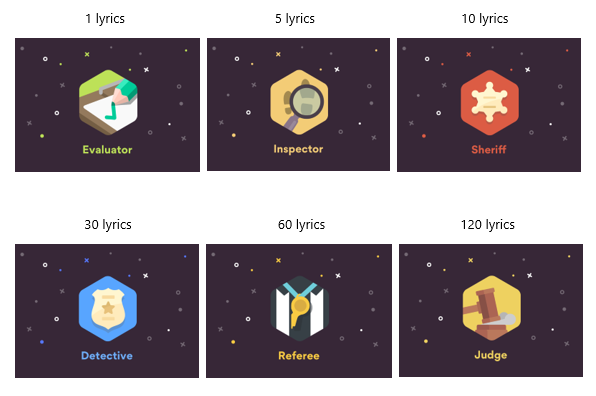 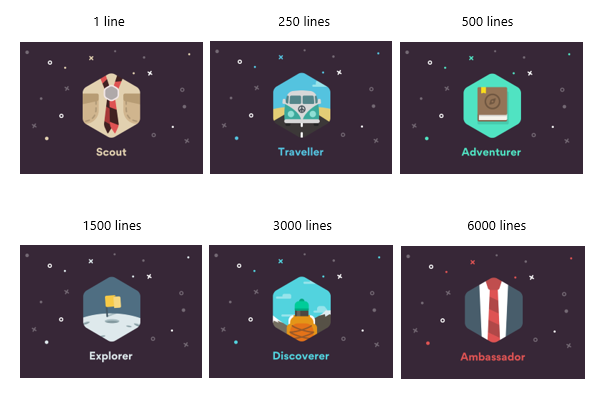 Special badges are assigned for tagging the mood of songs and completing your profile. 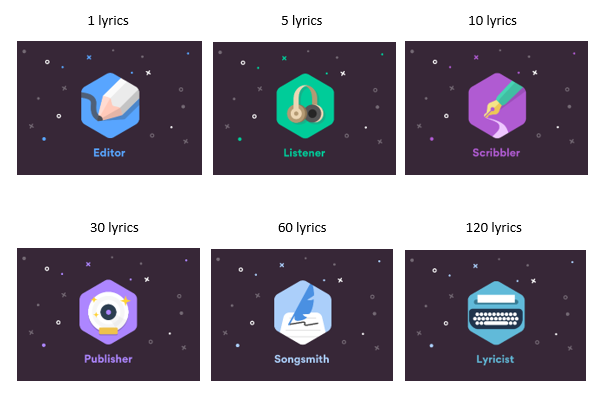 In addition to these badges, Musixmatch assign the Rockstar badge to the users who reach the Master level with high quality contributions.